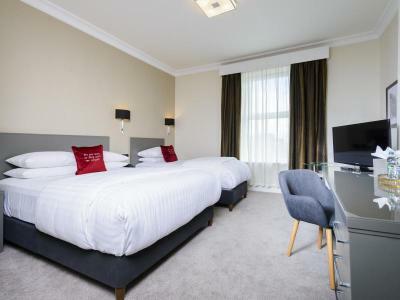 Enjoy an overnight stay at the 4-star city centre Metropole Hotel this Spring for only €120 which includes Bed & full Irish buffet breakfast for two people sharing and free overnight car parking. We're located in the heart of Cork's Victorian quarter and city centre. You have complimentary access to the hotels Leisure Centre to include 20M Swimming Pool, Sauna, Steam-room and Gymnasium.